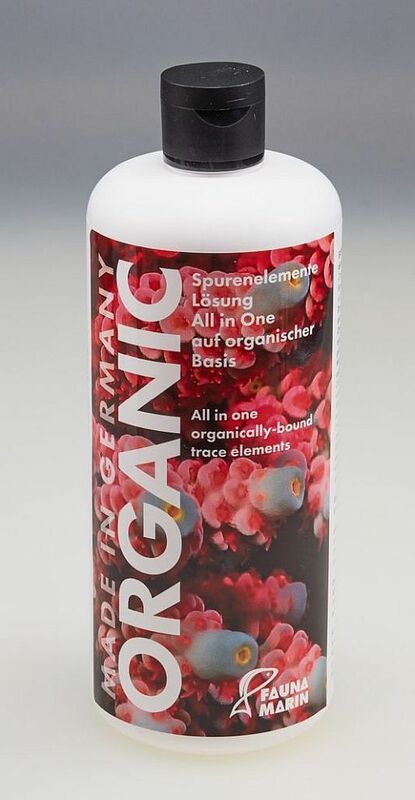  Extra-power for corals by organics!  The combination of Organic and Min S provide your corals with essential organic nutrients and organically-bound nutrients to maximize growth, color, and polyp extension.  Organic is suitable for all corals, anemones, and filter feeders in the aquarium.